Today in recognition of Black History Month , We recognize the achievements of this Black College Football All-American. Members of the Inaugural TAJ-Talented 10th Black College All-American Team. Nathaniel handled the punting chores for an Eagles team that finished with 7 wins and 4 losses this season. The Senior punter was put to work early in the first game of the season , Central lost the game to Duke 60-7 and Tilque was put to work booting the ball 9 times for 350 yards and he kicked one over 50 yards. 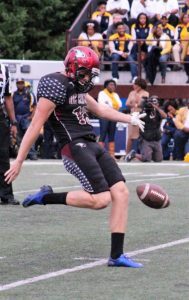 Throughout the season the senior punter illustrated leadership and did so well he was promoted to team captain midway through the year. 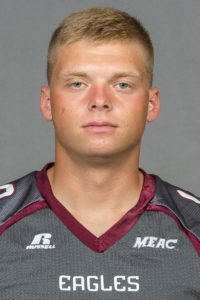 Nathaniels highlihgt games included his kicking for 349 yards in a contest against Hampton in November and that was followed two weeks later with the highlight of his averaging a season high 44.4 yards per punt against arch-rival North Carolina A&T. 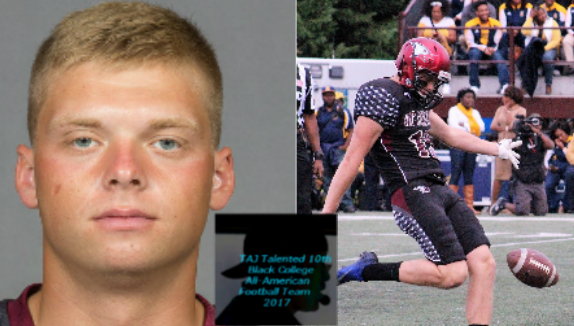 Nathaniel showed power with his leg as he booted the pigskin 59 yards three times this past season and also pulled off a 60 yarder against Delaware State.